DO SPIDER MITES DAMAGE PLANTS? 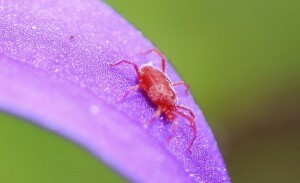 Spider mites are small, light brown to bright red arachnids which exist throughout the United States. 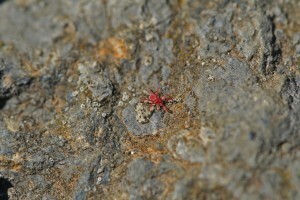 They are very small – smaller than a poppy seed – and are many times confused with clover mites or chiggers. 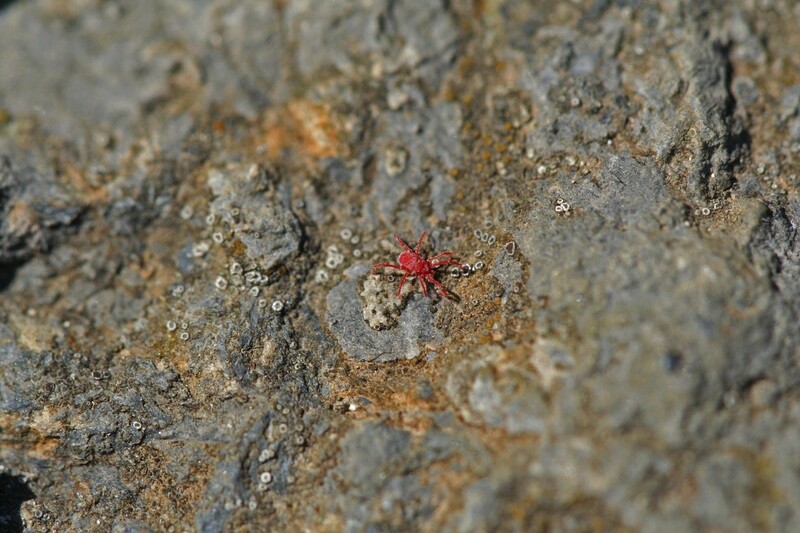 Unlike clover mites or chiggers, most all spider mites will turn bright red in color making them both “messy” and highly visible. Spider mites have long existed outside in the landscape living their lives amongst the plants where organic matter thrives. They would infest cotton, corn and other food crops causing enough damage to ruin the harvest. Awareness and treatments for this pest has enabled farmers to control populations, but the spider mites have remained persistent. They are now common around the home choosing to live on any plant or shrub available. Juniper, arborvitae, succulents and pine trees are common hosts, but just about any vegetation will do. In recent years, spider mites have found their way onto and now inside the home. The increase of indoor plants and the practice of keeping some outside for the summer and inside for the winter have allowed the spider mite to become an indoor pest. They do not migrate inside out of desire but in most cases, due to over populating outside plants. Plants with spider mite activity will likely suffer some damage. Sure signs include web like material on the bottom sides of plant leaves, bronzing of the plant stem and in extreme cases, plant death. Unlike other acari, spider mites can reproduce quickly. Several cycles may complete in one season. If conditions are good, they may go through all cycles in under a month. Their cycle includes egg, nymph, two molts of the nymph and then adult. Since they don’t migrate quickly, most populations will grow around each other, slowly moving outward as their population increases. The main part of their nest is usually where damage is most prevalent. Expect to find dead leaves and plant parts in “bad” condition. Upon closer observation, you will see the mites feeding or slowly moving if you disturb them. Spider mite control should be implemented around the landscape as soon as activity is diagnosed. This will prevent further damage, less chemical control and most important, prevent a local populous from getting inside the home. Just be sure to understand this process will require specific actives and almost certainly, several treatments. Retreating is generally needed because no one spray will last long enough to kill all stages. And until all local eggs hatch, they will linger if treatments are not renewed. So to insure you kill all activity, treat once a week for 3-6 treatments. This schedule is especially important during warm summer months when cycles develop quickly. If it is the off season like winter or spring when mite development is generally slow, treat every two weeks for local activity over a two month period. The best material for the outside landscape and on the home is BIFEN XTS. This concentrate uses a synthetic pyrethrum which has very low odor. Formulated as an oil base, it does a good job of penetrating all cracks and crevices where mites might hide and it will naturally coat all plant surfaces which is important for small pests like spider mites. Add 1 oz of concentrate to our 20 GALLON HOSE END SPRAYER, fill the sprayer to the 5 gallon line and use the entire mixture over no more than 5,000 sq/ft. Spider mite activity may be centralized, but don’t limit your coverage area to just the active plants or just one side of the home. Its easy to miss key nest sites so its wise to treat as much as possible to ensure you don’t miss any. When spraying for spider mites, its important to use a lot of water. This is why a hose end sprayer is well suited. Our sprayer is actually a 20 Gallon model which means you get up to 20 gallons of mixed material sprayed with one tank. So lets say you wanted to spray 10,000 sq/ft; you would add 2 oz of Bifen XTS, fill the sprayer half way and then distribute the entire amount over the targeted 10,000 you wanted to treat. And potted plants readily get spider mites too. Fortunately Bifen is excellent to use on household plants which show signs of activity. Take them outside to treat and dry; once dry they can be brought back inside. Be sure to inspect all plants in the home to catch any activity before it is too late. In most cases, treating plants around the infested one is a good practice. Bifen is gentle enough to use and getting the mite before it causes damage is important. For mites active on an edible garden plant or tree which will produce fruit or vegetables, go with MULTIPURPOSE INSECT KILLER. This concentrate is strong enough to handle mites yet approved for organic gardening and can be safely used right up to the day of harvest. Treatments will quickly work and keep plants mite free for a week or more. 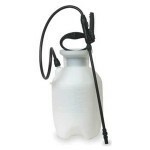 Mix 6 oz per gallon of water (1.5 oz per quart) and spray all foliage of infested plants. You’ll need a good PUMP SPRAYER to apply the solution; unlike spraying the yard, mulch and flower beds, a more focused sprayer is required. Once in the house, you’ll need treat all routes of entry with FS MP AEROSOL. 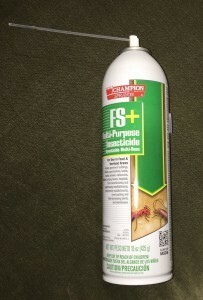 This is a quick acting aerosol ideally suited for void treating where mites like to hide. It uses an oil base that helps it penetrate all the small gaps they’ll use to hide and nest. FS MP will kill quickly and provide a week or two of residual. But if you spot activity anytime during the week – even a few days after you spray – don’t wait to treat again. When spider mites get active, they’ll be persistent requiring ongoing treatments and follow-up. If you need to treat several rooms, BIFEN IT is a more refined version of the XTS listed above. This form is water based, odorless and well suited for use in the home. You’ll need to apply it using a PUMP SPRAYER like the one listed above but for spraying baseboards, basements, garages, etc., using a liquid will be more efficient. For in the home, mix up 1 oz per gallon of water and expect to get about 800-1000 linear feet treated per gallon of mixed spray. Bifen will kill quickly and is safe enough to be applied on carpets for fleas and other pests so its okay to use even where children and pets play. Most homes can be properly treated with one gallon of mixed material but large homes or homes with bad problems could require more. And like the outside Bifen, plan on treating until the problem is gone. In general, you won’t need to apply it as frequently as the outside spray but twice a month is suggested. Keep in mind once one side of the home shows evidence of spider mites, its just a matter of time before they migrate to the other sides. And since its hard to see the migration, don’t wait. And even after they’re gone, using Bifen every 2-3 months will keep them gone for good. Anyone who has had this problem will understand that this pest is resilient and very tough for something so small. Give us a call if you need further help. Our toll free is 1-800-877-7290 and we’re open Monday through Thursday, 9:00 AM to 6:00 PM. On Friday, 9:00 AM to 5:00 PM and on Saturday, 9:00 AM to 2:00 PM (Eastern Standard Time). Does nicotine or tea work? @david scalone: Nicotine used to be a common active used for pest control. But it’s very toxic and was taken off the market some time ago. And though I’ve heard of people setting out tea leaves to repel pests inside the home, it’s not a cost effective way to treat spider mites that are infesting the yard or garden. If you’re looking for organic spider mite control, go with some INSECTICIDAL SOAP or GARDEN DEFENSE WITH NEEM. Both of these products are approved for organic gardening and work well on spider mites. Pine tree dropping needles from bottom up…large clumps turning brown and dropping off…. a nursery said: no problem but its getting worse. can the tree be saved? i have another close by..what should i do ? 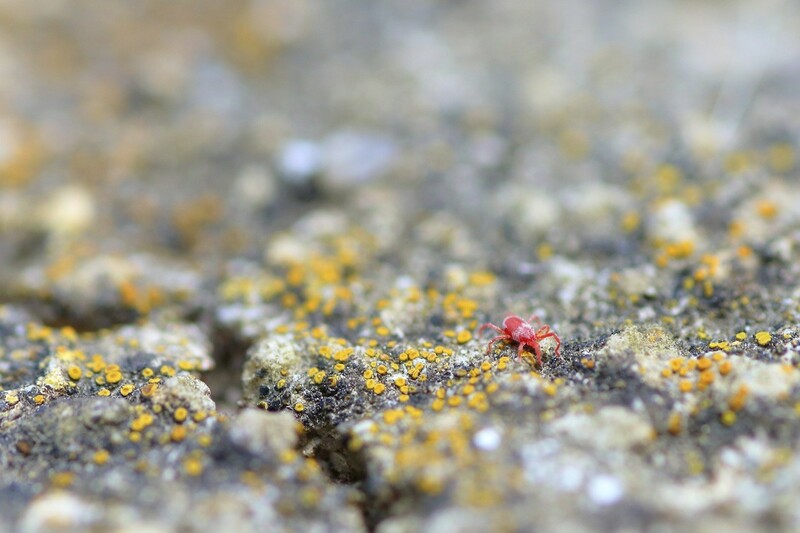 If you have a spidermite infestation and it’s left untreated, the mites will usually kill host plants and once the host plant dies, they’ll move and migrate to the next available plant. 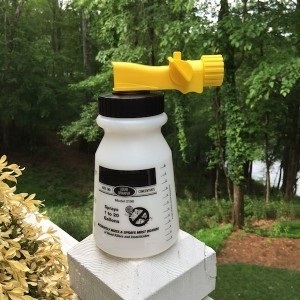 So if you want to protect the other trees and shrubs in the yard, I suggest you spray regardless of the current condition of the pine tree you talk about in your question. Now will treating the infested tree save it? Who knows. But really, does it matter in relation to whether or not you should treat? Not if you want to save the surrounding vegetation. So for now, I suggest you start by applying Bifen to the infested tree as well as the ground below. First, apply the Bifen Granules and then spray over the top with the Bifen Concentrate. And I would refrain from using the Spreader Sticker on the infested tree as this will usually cause some burning to the needles and sustaining extra damage is something this tree doesn’t need right now given the bad “shape” you described above. And once you knock down the local spidermites, there is a good chance the tree will come back but you won’t know until you try. As for where to get the items in our article? Just order from our cart or call your order in; we ship daily and most orders arrive around the country in 1-4 days. Here are links to these items in our cart. Please show your support for our business by purchasing the items we recommend from the links provided. Remember, this is the only way we can stay around and keep this valuable web site up and running. Thanks for your business!